1,005 people read this post. Anger? No. There needs to be a whole new word made in the English language to describe what we and others feel about the smoldering high-rise mass-grave that is Grenfell Towers. There has already been a mountain of information written about the devastating fire in a West London tower block. But, like the building itself, so much remains shrouded in dark smoke and ash that residents and ordinary citizens are left wondering, what in the world is going on? I’m no conspiracy theorist, but as the news filtered in – or more accurately DIDN’T filter in, even I felt like someone or some group was going through extraordinary lengths to cover up wrong doing. WAS THE CLADDING ON THE BUILDING LEGAL? 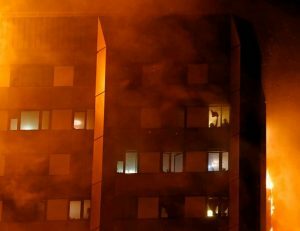 Everyone knows that the most likely culprit in this situation seems to be the cheap cladding covering the building, which had flammable material in it. It is continually presented as a cost-saving decision with the princely sum of £6000 being saved over the non-flammable version. Yet, the Chancellor of the Exchequer has clearly stated that he believes it is illegal in the UK and therefore someone has broken the law by using this material. So either someone has made a negligent decision to prioritise profit over safety or deliberately broken the law. 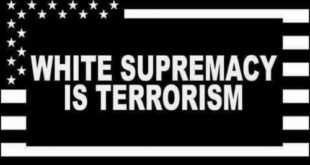 Either way, there seems to be no effort to identify who they are and put them on trial. Instead a public enquiry, that can take years and cost more than the compensation they’ll end up giving the victims, will be launched. WHY WASN’T THERE A SPRINKLER OR ALARM SYSTEM IN PLACE? In the UK, just to make an extension to your house requires planning permission and the type of discussion that other countries have when making their constitution. Does it obstruct your neighbour’s light? How many feet does it stick out from the main property? Is it in keeping with the rest of the houses on the street? The list is long. 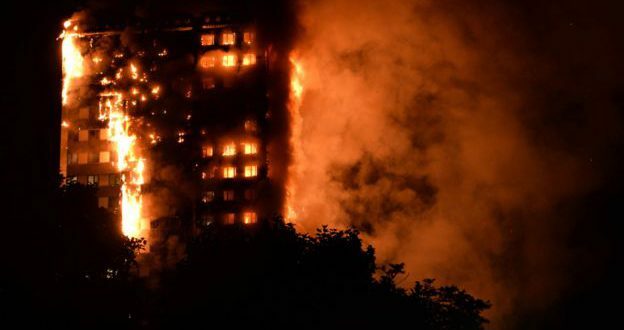 So how did someone manage to build a high-rise building without the very basics required for fire safety like a functioning alarm system, escape route and sprinklers? Their absence is negligent at best. WHY WAS THE WRONG ADVICE GIVEN TO FAMILIES AND INDIVIDUALS I.E. TO STAY INSIDE? This is not the first time that a fire has taken place in a high-rise building. The fire department as well as everyone else in the industry must have known that they had no reliable method of either getting the water to reach the fire on the upper floors or to get those trapped out. Why would they then give the advice to stay where they are and continue giving that advice throughout the night till it was too late? It is difficult to overstate the enormity of this point. Official advice given by professionals and the council was likely complicit in the deaths of hundreds of people. How was this advice allowed to be given? How can we expect people to listen to official advice again if officialdom got it so wrong with such devastating consequences? WHY WASN’T MORE OF AN EFFORT MADE TO EXTRACT PEOPLE FROM THE UPPER FLOORS? We know that fire fighters put themselves in harms way to save as many people as they could. They are heroes and did an amazing job. Yet, beyond these brave men and women, what other methods were used to extract people from the upper floors? In other countries, attempts have been made to land helicopters on the roof of buildings and to drop large volumes of water on fires using aerial means. ,  It beggars belief that the narrative seems to be that any fire over a certain number of stories is essentially unmanageable. 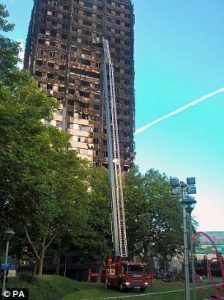 To give just one example, a fire engine with the longest ladder in the UK was used to search the building AFTER the fire. This ladder didn’t reach to the top of the building, but it reaches far enough to have potentially saved dozens of lives. Yet, it wasn’t even deployed from Surrey, which is less than an hour away. Why? WHY HAS THE TOTAL OF DEAD BEEN SUPPRESSED? How is it possible that a major disaster takes place and it takes weeks to come up with a reasonable estimate of the dead? I know the official answer. The official answer is that we need to identify each of the dead, that this is painstaking work and we wouldn’t want to get it wrong. However, the way the numbers have steadily increased and continue to rise leads one to the assumption that we are being drip-fed the information to manage anger. Anyone who tries to argue that this was for the sake of the families, has no idea how much anguish these families were put through looking for “missing relatives” when they should have been grieving. Out of the hundreds missing, it is entirely reasonable to accept that the majority were trapped in the tower and had passed away. Giving an official estimate of the number of dead would have been a better response, but instead we were told that 6 people were dead, then 12, then over 30 and so on. By all means, take your time in verifying the identities of the dead and the EXACT number, but not giving an estimate from day one isn’t protecting anyone but those responsible from the fury of the court of public opinion. Even as we speak, potentially hundreds of dead remain on the tower – without the dignity of a burial, a grave or a goodbye. They have gone to their maker, but those they left behind are traumatised and they are haunted. Even the response from the authorities so far seems inadequate and as an afterthought in comparison to the spontaneous efforts of volunteers and ordinary citizens. We didn’t just lose hundreds of lives in the inferno of Grenfell tower. We lost our trust. If the authorities want to rebuild that, they could start by answering these questions and listening (not talking at) the people affected.